Testimonials & Reviews - Palm Beach Gardens, FL: E. Charisse Dunn, D.P.M. Dr. E. Charisse Dunn always appreciates feedback from her valued patients. To date, we’re thrilled to have collected 45 reviews with an average rating of 4.89 out of 5 stars. Please read what others are saying about Dr. E. Charisse Dunn below, and as always, we would love to collect your feedback. Dr. Dunn was very professional and gave several options to my issue. She is very knowlegible and explained everything In detail. She was kind and very friendly. Office help was very nice and helpful. I have been a patient of Dr. Dunn for years and I am very pleased with the care and service I received. She is professional and very down to earth along with her staff. I would highly recommend her. Dr. Dunn and her staff are wonderful! They are knowledgeable, patient and kind and they took the extra time to answer all my questions. I highly recommend! Making appointment was easy. I found Dr. Dunn very caring and she listened to my needs. I was very happy to have found Dr. Dunn's office. I highly recommend Dr. Dunn. Had ingrown toenail removed. Very professional. Appointment on time, with follow up reviews. Staff very nice. Would recommend to anyone. I have only had highly favorable experiences with Dr. Dunn and with her very dedicated office team. 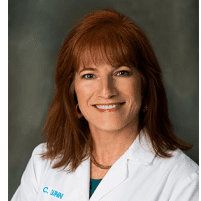 Dr. Dunn is a highly talented doctor/surgeon, who always spends the extra amount of time with her patients to make sure they understand and are comfortable with the advice and medical course of action. I also want to acknowledge the highly cooperative and efficient staff who work so well with her. Timely, professional, friendly. Excellent advice and I feel comfortable with her manner in deal with my issues. Great Doctor. Thank you Dr. Dunn! What a pleasant visit! Office staff was very welcoming and helpful. I had had a very unpleasant experience with another podiatrist. Dr. Dunn is very professional and explanned how to treat my particular problem and made me feel at ease. Very happy I found Dr. Dunn and her office. I couldn't ask for a more professional, knowledgeable and caring physician! No one likes to break a bone! But I know I'm being cared for and advised by a real pro. Grateful that we met years ago, and that she's always been there for me when I needed it! Friendly staff and Dr. Dunn is comprehensive personable and patient centered! I was in town on a short visit and had foot pain. Dr. Dunn's staff fit me in the very next day. Dr. Dunn and her staff were very warm, caring and professional. I was extremely pleased with my treatment. I was very impressed with the professionalism and the doctors’ knowledge. She showed great care and comforted my 10 y/o daughter with her injured foot. She even had support aids that were readily available that helped my daughters injury, instead of having to go elsewhere to find them. I would highly recommend Dr. Dunn and her office staff to anyone seeking foot or ankle care! She’s the best!! I was impressed that Dr. Dunn was very thorough in her exam of my feet and suggested several things I might try to alleviate my pain. My feet are feeling much better and I will continue under her care. I found Dr. Dunn online after seeing another Dr. about 6 months earlier. I had been dealing with foot pain for almost a year before seeing Dr. Dunn, and she managed to successfully get rid of my pain in only a few sessions. Her aggressive approach to treating my plantar fasciitis helped me get back to feeling pain-free in no-time. I found Dr. Dunn office online while searching for a foot & ankle doctor. Dr. Dunn is professional and very knowledgeable. She was able to diagnose my problem quickly and we discussed the methods to fix the problem. I would highly recommend Dr. Dunn to anyone one having issues with their feet & ankles. Dr. Dunn is professional and knowledgeable. She diagnosed my ankle issue quickly and we discussed methods to fix the problem. She and her staff were kind and generous with their time to answer my questions. I have been Dr. Dunn's patient for three years and have always found her to be competent in treating foot problems. She has treated and cured my toe infection. She diagnosed warts on the sole of my left foot that I didn't even know were there and removed them before they could cause problems. Dr. Dunn has a pleasant bedside manner, listens carefully, and has made suggestions that have not only solved my foot problems, but also improved my general health. Dr. Dunn was extremely knowledgeable and explained my treatment options very well. I recommend her to anyone looking for a very professional Podiatrist.